Popular Backwash Shampoo System with Sterling Chair. 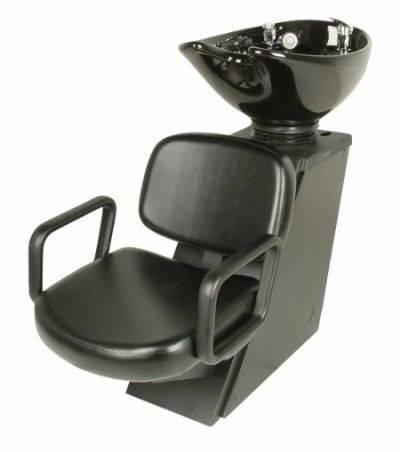 Features heavy-gage black powder-coated metal chassis for long-life, oversized black porcelain shampoo bowl #8700 or more economial 8800 ABS fiberglass bowl. both tilt, and seat-slide adjusts chair front-to-back. Sterling chair upholstery can be Wallaby Black, Charcoal, Chocolate, or Camel.